A new but highly blooming field of green energy is harnessed by extracting biofuels from microalgae. Being an alternative to the liquid fossil fuels, this is making its own share of support as it has quite a few advantages over conventional fossil fuels. A research in Kumamoto university further strengthens its significance as it was able to document some interesting results. 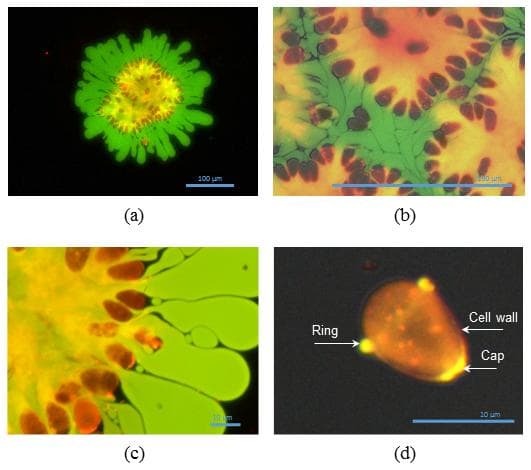 The published report informs that the biodiesel extracted from microalgae releases a similar amount of CO2 compared to liquid petroleum, however, a recent method was capable of removing CO2 derived from the process via photosynthesis. This indirectly means that the CO2 generated from this process is not contributing by increasing the number of greenhouse gases. Another point to be noted, that microalgae convert a significantly higher percentage of their biomass to usable oil compared to a smaller land mass than terrestrial crops. Although a number of advantages are associated with biodiesel, it is way too costlier than normal diesel. Recently, a research group from Japan has tried to reduce the cost of biodiesel production with a unique approach by applying pulsed electric fields (PEF) to extract hydrocarbons from microalgae. Now, these mili or microsecond PEF can weaken cell walls which increase permeability authorizing an extraction of elements inside the cell. Going further, a team from Kumamoto University used nanosecond PEF on the microalgae matrix that uses less energy than the micro or milliseconds PEFs even at high voltages. Plus, the method is less destructive and cheaper compared to the conventional oil extraction technique. Several tests confirming nsPEF application on the microalgae Botryococcus braunii (Bb) results in the practical measurement of the optimal electric field, energy, and pulse repetition frequency for hydrocarbon extraction. Going into the details, it was found that by doubling the energy the extraction rate was increased by 10%. Also, the pulse frequency has no connection with extraction percentage. Professor Hamid Hosseini of the Institute of Pulsed Power Science at Kumamoto University implied that the research method doesn't destroy the microalgae used for extraction and even after the extraction, they are able to reconstruct their colony. With the scope of growing further, the project highlights today's development corresponding to the green energy usage. The complete research has been published inthe journal, Biotechnology for Biofuels.